The weather is at long last picking up. In fact we seem to have had a mini heat wave. Wellies and leggings have been discarded, with boots being the order of the day. Top coat off and shirt sleeves rolled up – life really is looking up, long may it last is what I say. 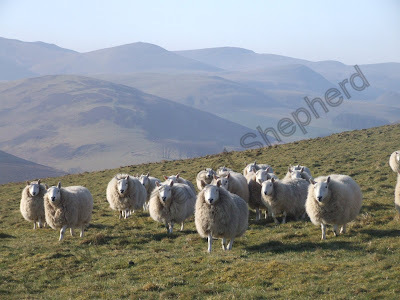 When I think back to the 2nd of April, my first morning off to the hill here in Scotland to feed the hill ewes, it now seems a lifetime ago. I have to say the beauty of it all that sharp frosty morning was absolutely stunning and the ewes were pleased to see their new shepherd. The last of the snow shifted on the 10th April and the ground is now more as I remember it from last year. The 10th April brought another change, not only had the snow finally all disappeared from every nook and cranny but the sheep settled down also. Every morning when I headed out to feed them they came charging towards the bike, desperate for their cake, so desperate in fact that some mornings the next cut of sheep would appear over their hill top (which would be at least ½ a mile away), like a bunch of wild Indians they would charge down the hill side towards the cut I was feeding. A hungry bleating almost sounding like a war cry as they careered towards me. The dogs valiantly managing to cut them off at the pass and turn them back to where they belonged. 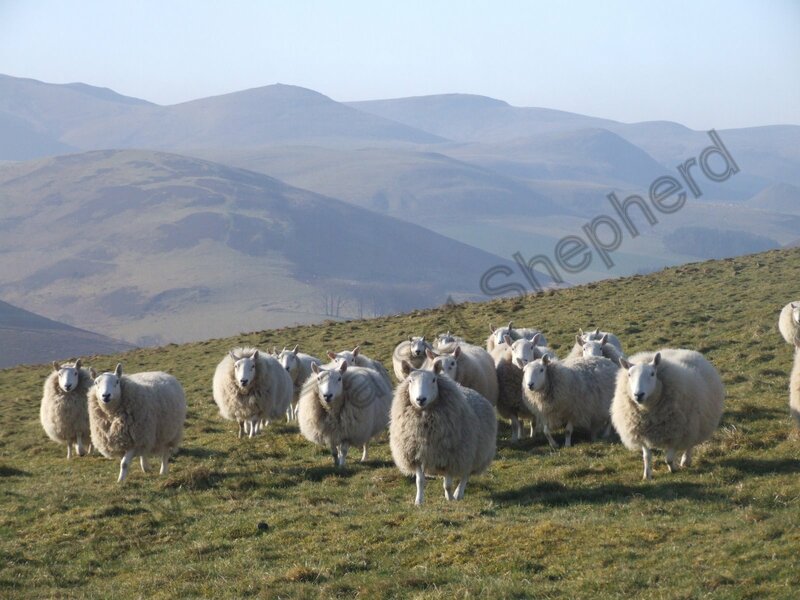 These sheep are never going to knock you down to get at their cake, they may well chase the bike and get over enthused at the thought of food but they truly are wild. I walk along, tipping the cake out onto the ground out of the bag and these sheep run around and around you in sheer excitement and anticipation of receiving food but all the time keeping their distance, never prepared to drop their heads until you are well out of the way. The wild instinct is never far away, doesn’t matter how hungry they are they still refuse to make contact – sheer bliss I can tell you, being able to feed sheep without the fear of being knocked to the ground and trampled. So for a good week I had ewes desperate for their morning feed, then it stopped. I found myself having to set them all in to a spot to feed them, they no longer chase the bike, they no longer try to leave their ground and join the cut being fed before them. They have settled. They have to be gathered with the dogs to receive their feed, no longer volunteering to be first at the ‘trough’. What a great feeling. The ewes are due in on the 17th and I was becoming concerned about their well being - and mine! Normally the feed is knocked off them once they begin to lamb, it can cause mayhem with little lambs running around out on the hill so the ewes no longer receive the hard feed, there are mineral/feed buckets available for them ad lib but no cake. It was beginning to look like I may have to cake them at lambing time, I didn’t relish the prospect. Mother Nature has waved her magic wand and here they are, settled and content with what the hill ground has to offer them. The warmth has fetched a fresh growth of grass and the ewes are more than happy to eat this - the natural approach. Hill sheep ain’t so stupid; they know what’s good for them. Let’s hope this really is spring on the way, it ought to be after all we have waited long enough. P.S The ewes started to lamb on the 13th - they came in early last year as well so this is nowt fresh. The weather cooled down but remained dry and to date the ewes are lambing away merrily.